Yummy Burger Top fun Kids Game comes from the developers at GiantMonster who have found out the perfect kids game that will keep them occupied and teach them too at the same time. 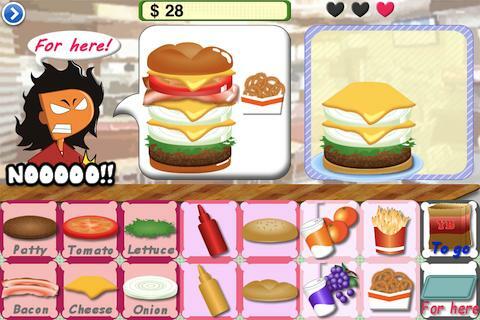 The game can be described as a management game that mimics a fast food joint. You are given raw materials like bread, sauce, patty etc. and are given the order of the customer. This order is in the form of a picture, that you need to deliver to your customer in the allotted time. If you deliver the right order within the stipulated time, the money in your cash register grows with each order. Just like how it is in real time. You are given raw materials like bread, sauce, patty etc. and are given the order of the customer. This order is in the form of a picture, that you need to deliver to your customer in the allotted time. If you deliver the right order within the stipulated time, the money in your cash register grows with each order. Just like how it is like in real time. There are two modes of fifteen seconds and seven seconds which is the time allotted for the preparation of an order. 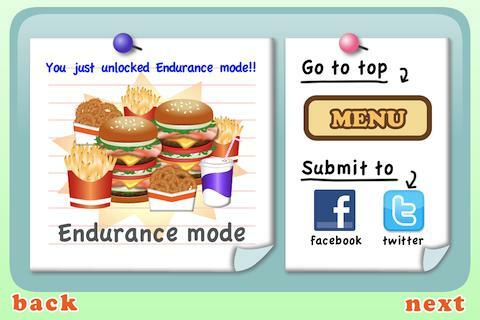 The four modes in which the game is played are Restaurant, Stand, Endurance and Time trial that are self-explanatory. This may look like an innocent fun game that may keep your kids occupied for a while. But the underlying idea teaches the management concepts of a start up business in a simple manner. After the resources (tomato, patty, lettuce etc.) are exhausted, the player needs to refill the trays for the next orders well within time. And if your burger is not constructed the right way or if it is not ready within the wait time of the customer, then they don’t give you the ‘like’ sign and do not pay you. Based on the ‘like’s that you accumulate, you go to the higher levels and higher the level, more ingredients you get to use in the construction of your burger. Consequently you acquire higher points. 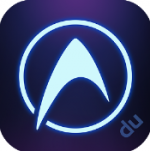 It is a free-to-download app in Android 2.2 and above which is extremely addictive and similar to burger / food game apps in both Google play store and iTunes app store. Due to this similarity, the fact that we have to pay around $70 to unlock the full game is a setback. 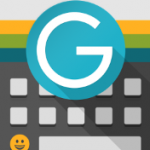 Apart from the binding financial constraints of unlocking the individual levels, the game as a whole is a complete package with pretty user interfaces and kid-friendly graphical game play. 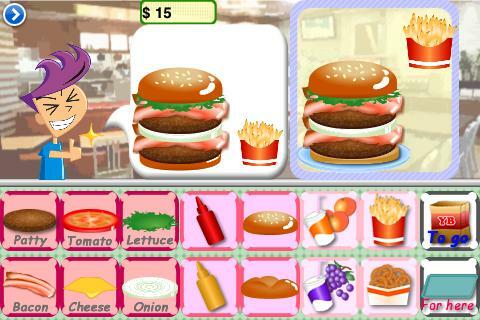 ‘Yummy Burgers’ app should not be mistaken as being easy since it is a kid’s game. As we level up higher and higher, the customers make their orders complex to increase the difficult level. I must definitely applaud the developers for creating such funky customers of different types that they are so endearing enough to become attached to. Kids would love this role play that they can relate to with the other games they love to play.